Quietly situated in lovely surroundings, Springbank is a 5 Star Cotswold stone coach house, equipped to the highest standards. It is on the upper level, set in 11 acres of the Windrush Valley pasture. Soft colour scheme, oak floors with rugs, quality furnishings and fabrics in this superb conversion that offers spacious accommodation for two. 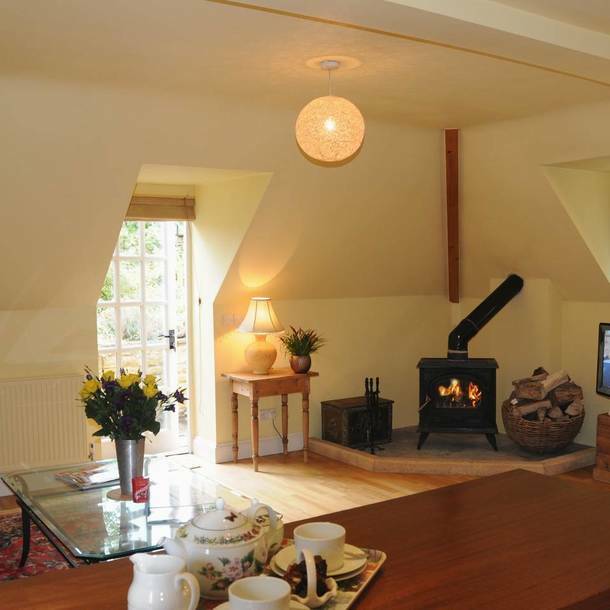 Spring Bank is a welcoming beautifully presented coach house which is equipped to a high standard. Located on the upper level, it has its own private parking and entrance and also benefits from a private garden and sun terrace, providing the ideal place to relax after an exciting day exploring the many delights of the Cotswold's.